We are happy to announce that the date for the FACTS4WORKERS closing event has been set for 21st November 2018. It will take place at the Virtual Vehicle Research Centre in Graz, Austria. 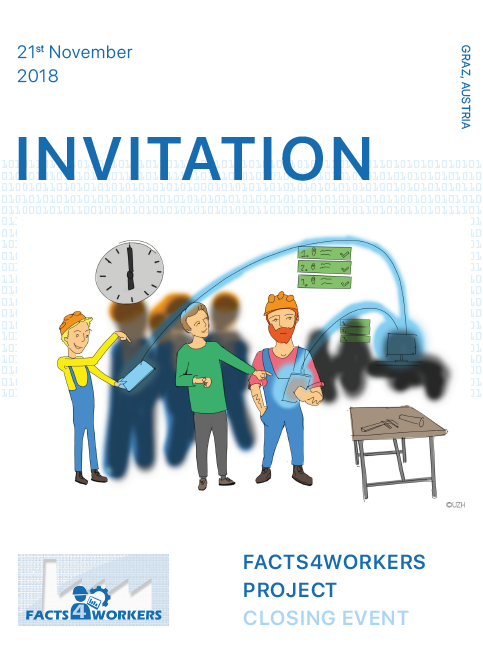 The event will give possibility to all who are interested to see the prototype solutions work shop floor workers developed within the FACTS4WORKERS project. It is open to all members of the interested public and there are no entry fees or preliminary applications required. The FACTS4WORKERS consortium will be glad to see you in Graz.